Many products are marketed directly toward senior citizens. The aims of the products are to enhance and improve the quality of life while maintaining an independent lifestyle. Medicare as well as private insurance plans cover a majority of the costs associated with the items. Often there is little to no co-pay for the recipients. Wheelchairs come in several different options for various needs. Transport models feature small wheels and lightweight frames. The narrow chairs are beneficial since they can fit through doors better. 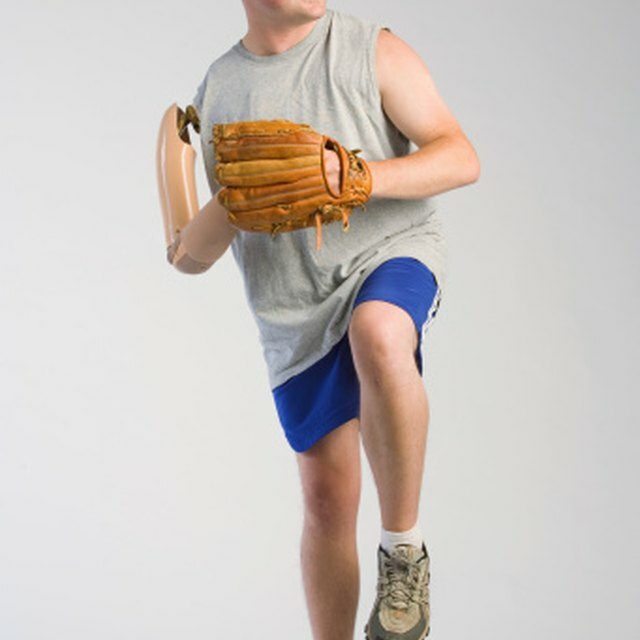 Sport wheelchairs allow the user to participate in recreational activities, such as tennis and basketball. A heavy-duty version is available that fits people who weigh from 500 to 850 pounds. Folding power wheelchairs have speeds of up to 6 miles per hour. For many of the sturdier chairs, pavement and natural surfaces do not pose a problem. Mobility scooters offer an alternative to the wheelchair. Travel versions disassemble into four pieces for easy transport and come with sealed batteries. Four-wheel scooters offer maximum stability, especially in outdoor situations. Larger models have a higher ground clearance and bigger tires. This is especially beneficial to farmers, ranchers and hunters. Heavy-duty mobility scooters weigh more than 350 pounds and can accommodate weights of up to 500 pounds. 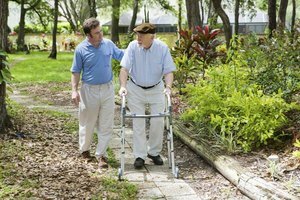 Various types of walking aides can help short- and long-term care needs. Single point canes and quad canes offer a small amount of assistance with walking. Some models come with a battery-operated light or an attachable light. Crutches often accompany medical procedures or injuries, but they may be in use by anyone seeking to avoid a walker. Folding walkers allow for easy transport and storage while providing the most support for walking. Hand brakes, baskets, wheels and seats are available options for walkers. Bath aids offer assistance to keep up general hygiene as well as cleanliness. Stools and seats come in many models that accommodate various weight limits. Variations available include a chair or bench that fits across the width of a bathtub. Bath lifts help the bather in and out of the bathtub safely. Lift models come in several degrees of reclining positions, and some working on battery power. Walk-in baths require professional installation by a licensed company. The baths feature a large door that allows you to walk into the bath. Grab bar or handles and massage jets are available options. Calcium pills are often hyped on television commercials to help prevent or deter bone thinning that occurs with osteoporosis, which affects seniors. The Mayo Clinic says osteoporosis affects 8 million women and 2 million men in the United States. It recommends a dosage of 1,500 milligrams a day with about 400 IU of vitamin D for women. Adult diapers are available for both men and women who experience incontinence. A sometimes embarrassing problem, incontinence can be caused by many reasons, including diabetes mellitus, multiple sclerosis, Parkinson's disease, strokes, spinal chord injuries or an enlarged prostate. Most grocery and drug stores carry these, but there are mail-order companies that can deliver this product discreetly to your front door. What Is a Clutch Wallet?